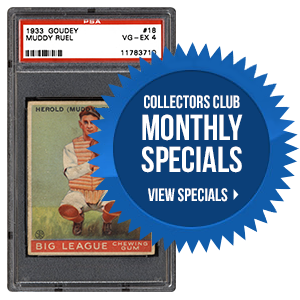 PSA Insider: With Baseball Season Closing, Football Collectors Prepare for Some Fun! 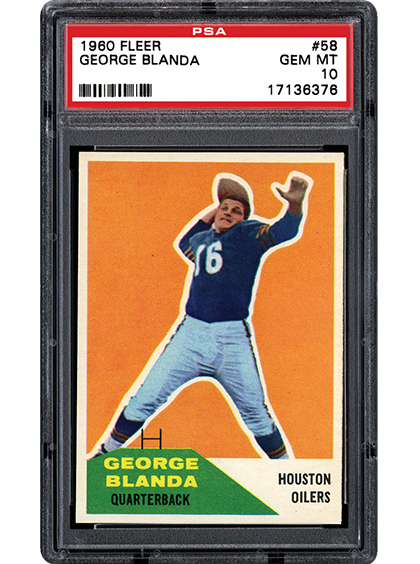 In the midst of the turbulence of 1968, Topps issued a baseball card set that remains popular with collectors a half-century later. Loaded with affordable hall of famers, some interesting combo cards, and a couple of very important rookies, this set has something to offer to a wide range of hobbyists. 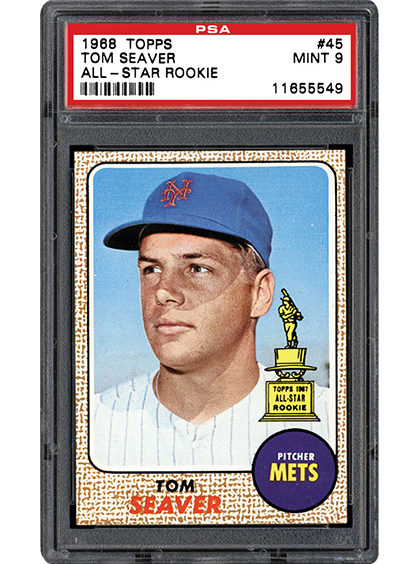 SMR looks back 50 years at the 1968 Topps baseball set and details how it has stood the test of time. The Chargers, Texans, and Broncos? Who are these guys? That is what many collectors were thinking when they first opened packs of 1960 Fleer football cards. SMR looks back at the lovably-flawed card set that introduced hobbyists to the American Football League. What is your favorite part of a sports season? Preseason – The first glimpse of new rookies and off-season acquisitions. Opening Day!! – They should all be national holidays. The Regular Season – Seeing who really came to play all season long. Playoffs!! – The time of year when legends are made. We continue to focus our attention to new set checklist requests and new slot requests. 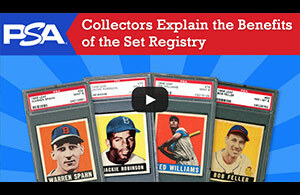 In the month of September, we added 157 new set checklists and processed 431 new slot requests. We want to thank you all for your patience and continued support while we continue processing the many new set requests and new slot requests you’ve all submitted. Should you have any questions, please feel free to contact us at [email protected].